in February 2015 with some initial financial support from The Constituency Committee of Wirral B.C. 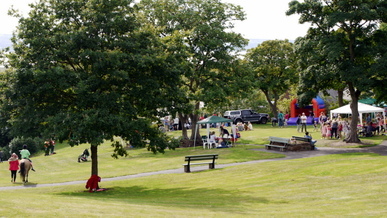 A visit to Dawstone Park is evidence itself of the huge efforts that the Committee and Volunteers have made to improve Dawstone Park and to ensure that it is maintained in tip top condition for the enjoyment of all, rewarded by attaining and retaining its Green Flag status. ​This cannot be achieved without the help of volunteers at the regular monthly working parties. Anyone who can spare time to lend a hand will be extremely welcome. Forthcoming working party dates and details of other events can be found on the Friends of Dawstone Park website or on the notice board at the Dawstone Road entrance.